About The Moon Sisters: After their mother’s probable suicide, sisters Olivia and Jazz attempt to move on with their lives. Pragmatic Jazz takes a job in the same funeral home that handled her mother’s body, while spirited, strong-willed Olivia—who can see sounds and taste words—wants to travel to the remote setting of their mother’s unfinished novel to see the will-o-the-wisp lights that she’d written about. A reluctant Jazz agrees to go with Olivia, and as they journey toward the wisps, their acceptance of their mother’s death becomes as important as their journey to understand each other and themselves. 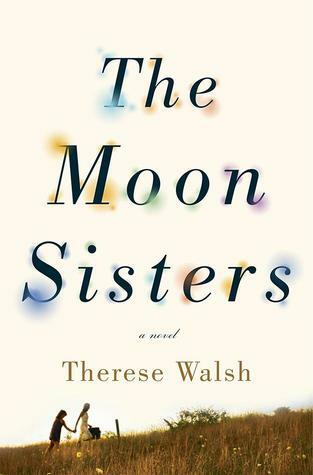 Therese will giving away a copy of The Moon Sisters to one lucky commenter. Details at the end of this post! What three things would you want with you if you were stranded on a desert island? I’ll assume I can’t bring people. Non-people bring-alongs would include my dog Kismet, a Swiss army knife, and the biggest pack of matches I can find. If I can’t bring my dog, I’ll bring my Alphasmart. The batteries last forever. Really, they do. I have two story ideas, and I’ve worked on both a little bit but not enough to be committed. I’m playing hard to get on purpose. I want to be wooed. Also, I’ll spend a good deal of the spring and summer preparing for the first Writer Unboxed live event, to take place this November in Salem, MA. Exciting stuff. Yes, people who know my sisters (Aimee and Heather) see a little of each of them in the Moon sisters (Olivia and Jazz). Aimee is a free-spirited, spontaneous adventurer like Olivia. Heather is more practical like Jazz; she’s very family centered and also more likely to drop an f-bomb than anyone I know. In my family, we find it funny that Aimee sees herself in Olivia but that Heather doesn’t see herself in Jazz. Try not to be offended by critique of your work. Criticism is simply someone taking the time to point out where things might be improved. Don’t take it personally. Take it professionally. Lean into it. Hunger for it. Learn from it. GIVEAWAY! Comment on this post by noon EDT on Friday, March 21, and you’ll be entered to win a copy of The Moon Sisters. Follow The Debutante Ball on Facebook and Twitter for extra entries—just mention that you did so in your comments. We’ll choose and contact the winner on Friday. Good luck! About Therese Walsh. Therese’s debut, The Last Will of Moira Leahy, was named one of January Magazine’s Best Books of 2009, was nominated for a RITA award for Best First Book, and was a TARGET Breakout Book. 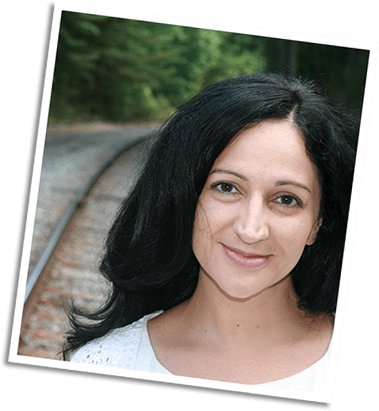 Therese is the co-founder of Writer Unboxed, a site that’s visited daily by thousands of writers interested in the craft and business of fiction. She has a master’s degree in psychology. Aside from writing, Therese’s favorite things include music, art, crab legs, Whose Line is it Anyway?, dark chocolate, photography, unique movies and novels, people watching, strong Irish tea, and spending time with her husband, two kids, and their Jack Russell. Heather Webb is the author of BECOMING JOSEPHINE, her debut historical (Plume/Penguin 2014). A freelance editor and blogger, she spends oodles of time helping writers hone their skills—something she adores. You may find her Twittering @msheatherwebb, hosting contests, or hanging around RomanceUniversity.org as a contributor to the Editor's Posts. She is also the Twitter mistress for the popular Writer Unboxed. She loves making new reader and writer friends. Stop on by her website, Between the Sheets! I’m looking forward to your next big project–the conference at WU! So excited to meet the wonderful crew. Thanks for being with us today, Therese. Thanks again for having me, Heather! Can’t wait to read this one! Count me in for the giveaway. I also follow Debutante Ball on Twitter. Thanks Debs! And thanks Therese! Thank you, Valerie, and best of luck! Welcome, Therese! I love it that you need to be wooed into committing to your projects. Something eventually grabs us and won’t let go — I love that feeling. I can’t wait to read THE MOON SISTERS! Thank you, Lisa! Yes, having ideas is never an issue; I always have a bunch, and I’ll bet you do, too. But finding that ONE idea that you’re not only excited over but willing to dedicate yourself to for a few years takes a little time. Well worth it, in my opinion! Thank you, Denise! My stories have benefited tremendously from critique. The book sounds fabulous, congratulations! I love the advice about critiques too. I have been wanting to read this for the longest. Thank you, Dana! I hope you win, then. Best of luck. I quite literally spied your lovely novel “The Moon Sisters” as an upcoming inbound new release at my local library YESTERDAY! I promptly added my name to the queue and am thrilled to bits I will be amongst the first to read it! 🙂 One of my favourite things to do is seek out all the lovely new books arriving through my library’s catalogue! I love seeking out new-to-me-authors as much as I love discovering new wordsmiths who enchant my imagination! Ms. Webb tweeted about this particular post and I sat here thinking, isn’t that one of the author blogs you’ve been meaning to visit frequently!? Why yes, came the reply! Wicked interview! Happy to have become introduced to the author! Thank you for offering the bookaway! What a fun response, Jorie, thank you! I’m glad you’ve signed up to read The Moon Sisters, and I hope that you love, love, love it. Happy Reading! Thank you for your comment, Karen, and best of luck to you! Tiffany, I would love to hear from you after you’ve read them, especially considering you plan to read them back to back. They’re similar but very different tales. Happy Reading, and thank you for your support! Welcome to the ball! I’ve heard great things about this book. “Take is professionally.” That’s great advice. Thanks for being with us today, Therese! Thanks for having me, Lori–and all of you Debs. Aww, what a great story and memory! Thanks for sharing that with me, Natalia! And I’m thrilled you enjoyed The Last Will of Moira Leahy. Like The Moon Sisters, that was a story that required quite a lot of re-thinking and re-writing. Fingers crossed that a third book comes forward more clearly. Congratulations to YOU and your upcoming novel, which looks stunning. (The cover might have been the cover for The Moon Sisters, honestly!) And I can’t wait to meet you “IRL” at the WU Event in November. Thanks again for your generosity in hosting me here! I’m glad to hear that the reviews you’ve read for The Moon Sisters have been good ones. It means a lot to a writer after working on a novel for several years that, when it’s finally released, people connect with it in the way you’d hoped. Happy Reading to you! Thank you, Maya! I hope you enjoy the novel! PS – Yes, I follow you ladies on Twitter, as well. Would love to win Therese’s book since I SO enjoyed THE LAST WILL OF MOIRA LEAHY. Good luck; I hope you win! I’m so eager for people who read and enjoyed Last Will to read The Moon Sisters.